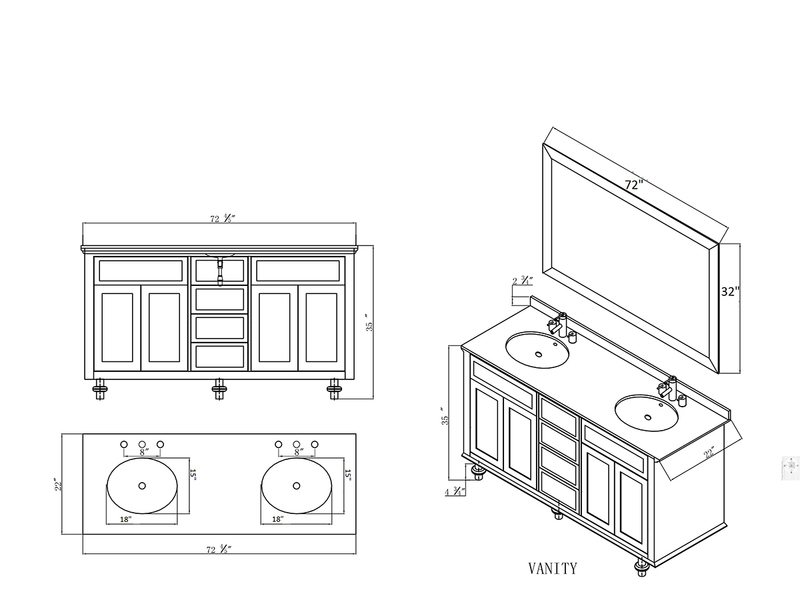 The 73" Olmega Double Sink Vanity combines functionality with style in a truly spectacular way. 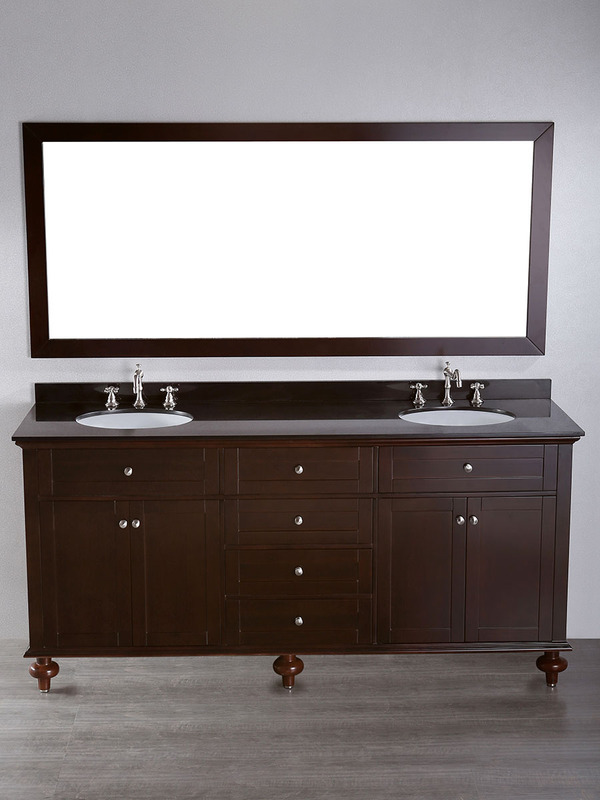 Its Dark Espresso finished cabinet is made from solid birch wood and a Black Granite countertop to give you a sophisticated vanity that's worthy of being the centerpiece for you bathroom. Its cabinet offers two double-door cabinets and four spacious, soft-closing drawers of storage room. Each drawer front and cabinet door is adorned with silver knobs for easy access, in addition to two accents underneath each sink for two faux drawer effects. The top is pre-drilled with three faucet holes on each side and accompanied with two white ceramic undermount sinks. 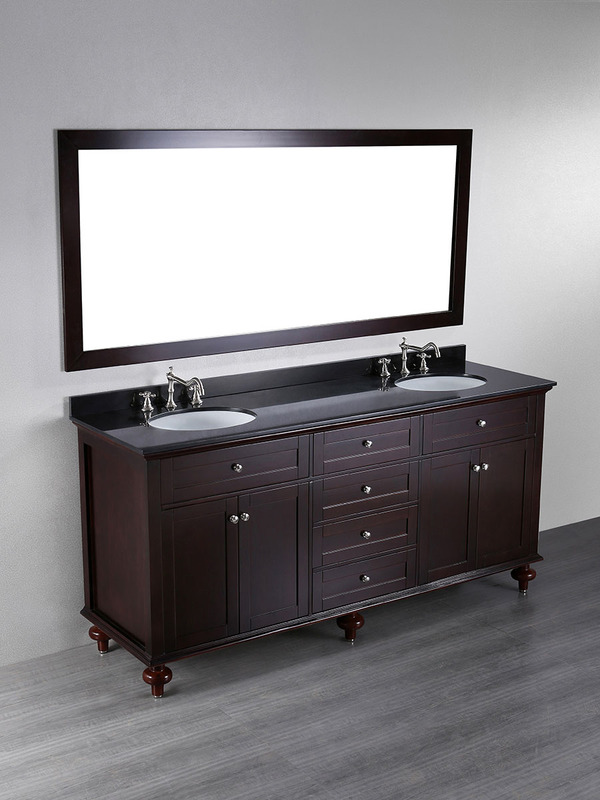 Rounded feet elevate the vanity off the floor while a large mirror gives the vanity a finishing touch.